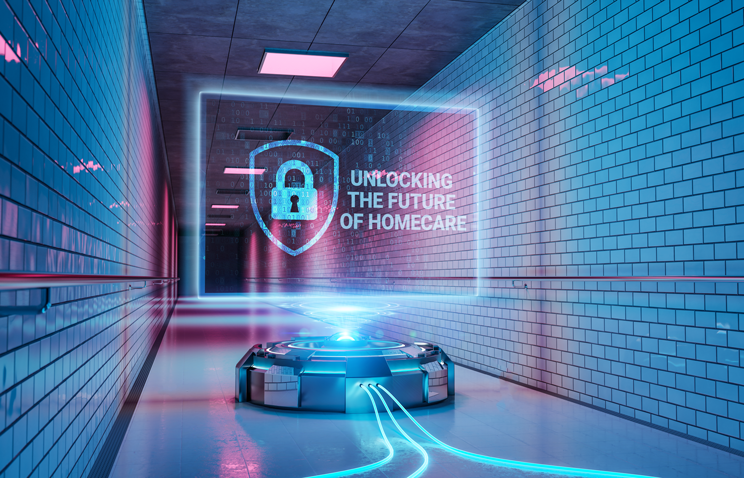 CareShield is a company of inspired individuals who are passionate about sharing tips and insight to improve quality of life and reinvent the home care industry. We would love to hear from you too so join the conversation! To me, disruption means levering emerging technologies and innovative ways of thinking to make a product or service that is fundamentally better for society. Before I introduce my vision, I would like to explain my inspiration and the firsthand experiences that have served as my motivation to create a company which utilizes this concept and will play a key role in both overcoming the challenges and reshaping the future of healthcare, home care, and long-term care. My inspiration comes from my grandmother who had a sudden and debilitating stroke that left her paralyzed and unable to speak or eat. She was a second mother to me, and my best friend. When I heard what had happened and was told there was a chance she could live, my first thought, which I immediately expressed, was, “We are going to bring her home.” I was informed that even if she lived more than a few days, it would be almost impossible to care for her at home due to her rehabilitation requirements and her inability to talk, walk, or eat. Knowing that she was completely defenseless, my family and I created a plan to protect her safety and dignity and ensure she promptly received whatever assistance she needed from her medical team. My family would stay with her in shifts during the day, and I would stay with her each night. Before she was moved from the hospital into an extended-care facility, we did our research to find her the best care available, and that still was not good enough. During our first few days at the extended-care facility, I noticed a significant dropoff in the level of attention and quality of care people received compared to what the hospital provided, especially for people who were alone. It was at that time that my family and I agreed to bring her home and establish our own internal care system to keep her safe and give her the quality of life that all people deserve. We set up an around-the-clock schedule to be sure she always had a compassionate caregiver to meet her basic life needs and also to give her life substance and value. This decision did not come without a cost. It required sacrifice from all involved: personally, professionally, and financially. When I was growing up, my grandmother would tell me stories about her life and my family’s experiences in Europe before, during, and after World War II. My grandparents escaped Europe during a time of turmoil, and she would speak of horrific injustices, true heroism and how she and my grandfather, through compassion and a love of humanity, made a meaningful impact on the world. They were rescuers, providing refuge and safe transport to Jewish families and their children, who were certain to be deported to concentration camps otherwise. In a time when others did not value human life, they saw that people in their community needed help and they took action despite the danger and risk to their own lives. Living through my grandmother’s illness, seeing how it impacted my family, and combining that with the values my grandparent's had instilled in me and our entire family made it clear to me there was a much better way to approach how we care for people as a society. I also realized that I had the chance to do some potentially interesting things with my career, and one of the most valuable things I could do with my life would be to serve others in similar situations. At the time this occurred; however, I did not yet have the knowledge or frankly the confidence to step back and objectively assess the situation or develop a solution flexible enough to be applied across all of society that could consistently improve the standard of care or someone's quality of life in any specific way. As a student, I attended Baldwin-Wallace University and studied business, finance, and entrepreneurship. I was also a member of an organization called Enactus, formerly Students in Free Enterprise (SIFE). Enactus is a community of student, academic, and business leaders who through concept development, innovation, and business principles compete to create community impact and valuable experiences. I led a project which was entered into a competition sponsored by AT&T, that leveraged modern technology to reinvent an existing business model. My chapter was recognized nationally, and the concept turned into a business, the profits from which helped to fund my education. My memories of taking care of my grandma never diminished and as time went on and I watched close friends and family members battle chronic conditions and end-of-life situations under the same broken healthcare system I had helped her deal with. I began to understand what it meant to be an advocate for both patients and caregivers and that two of the simplest gifts one can grant another human being is empathy and compassion. I believe the golden rule, treating others as one would wish to be treated, is what makes the world a better place. It seems simple but if you examine the ghost of healthcare past and present it is clear that this is not always the case. That’s why I began to envision an entirely different future in the way society cares for each other. In 2015, timing, hustle and a lifetime of perseverance provided me with the opportunity to join one of the most disruptive business software companies on the planet, Coupa Software. When I was getting started in my career, I envisioned working with the best talent and the most exciting technology on the planet, in Silicon Valley. This experience provided me with much more than a Ph.D. in my self-directed apprenticeship; it allowed me to learn what truly different thinking and innovative technology looks like, and how it can be applied to disrupt the status quo and create an entirely new industry. At Coupa I was a strategic advisor and director and was tasked with leading an exceptional team in the consultation and delivery of Coupa’s Business Spend Management (BSM) platform to large global organizations. It was here that I further refined the knowledge acquired throughout my career, gained the confidence to objectively assess the most complex situations and develop an agile framework that leverages modern technology and applies innovative thinking to create meaningful, quantifiable outcomes. This was also when I began designing, testing and refining my initial hypotheses, working with experts from medicine and public health to challenge my thinking and getting serious about pursuing my vision. My time at Coupa served as a slingshot for my career and opened the door to becoming an independent management consultant and spend management strategy advisor. I have spent the last two years building a home health care startup while working with business leaders worldwide, helping to learn about and deploy disruptive technology that can dramatically reduce their operating costs in the shortest possible timeframe, anticipate game-changing opportunities before their competition, and rethink their Procure-to-Pay (P2P) strategy. I work with some of the world’s largest hedge funds, venture capital firms, multinational corporations, institutional investors, professional services firms, and non-profit organizations. The last two years have proved to be a culmination of everything I have learned over the course of my career. What’s even more notable is the comprehensive knowledge, experience, and confidence I had lacked years ago came full circle and provided me with the necessary foundation to build a company - CareShield Home Care - which utilizes an innovative platform that improves human quality of life in measurable and meaningful ways. Now back to the experience with my grandmother. Despite many attempts at working with outside caregivers, the anticipated quality and value from our providers were never fully delivered. Twenty years later the home care industry feels relatively the same. Nothing has fundamentally improved from either a service quality or value delivery standpoint. Looking back healthcare faced similar problems, and the concept of value-based care was introduced in 2006 to standardize processes through best practices designed to improve patient outcomes (value delivery) and service quality while reducing health care costs. Fundamentally changing the way society cares for each other requires implementing higher standards of excellence that deliver the ultimate measure of quality and value - meaningful outcomes - the results people care about the most. That’s why we are reapplying principles from proven value-based concepts like the one that I had the privilege to contribute to at Coupa - Value as a Service - as well as value optimization models used in healthcare and industries you wouldn't expect to create a new industry model that exponentially increases the value home care provides to society. Put People First: People are the most important part of an organization. In the case of home care, who is more capable of protecting the safety and human dignity of a person and providing the meaningful results they care about the most than a compassionate, inspired, forward-thinking individual, with an exceptional attitude who is well trained and loves what they do? There is no doubt in my mind that they are the key to unlocking the full value that home care provides to society. The fact is that the home care industry today is broken - especially with the way it treats its caregivers. The majority of caregivers do not receive a living wage, yet they are doing arguably one of the most challenging jobs in society. They have little opportunity for career advancement, nor do they benefit from the long-term success of the organizations they work for compared to executives and owners. As a society we need to take action around this specific issue and fix it quickly. At CareShield we are taking action, we make sure our caregivers have an opportunity to benefit from their company’s success. That means caring for our caregivers over the short and long-term with competitive compensation packages starting at 50% above the industry average; comprehensive health benefits for full-time employees; a flexible work environment; performance-based pay increases (we align with the success of our clients and reward results); annual bonus program and equity distribution for all caregivers. Implement Higher Standards Of Excellence: Unlocking the full potential of home care also requires a new kind of relationship that is focused on the physical, mental and social aspects of the whole person and creates the outcomes that people care about the most. It's a partnership that begins with open and authentic learning sessions about the care recipient, creates a shared vision for what we will achieve together, establishes agreed upon success criteria and uses measurable goals to ensure we maintain accountability to our clients and optimize their result over time. In the future, I expect that all home care providers will implement similar standards of excellence and utilize an outcome-based approach because it creates undeniable value for their clients. When they do, accountability and continuous improvement will follow, and consumers will have a simple and straightforward way to differentiate the provider who is best capable of delivering the most significant outcomes and the highest level of service in the areas they care about the most. Leverage Modern Technology: Combining modern technology with a frictionless user experience is the best approach when it comes to developing applications for any industry - especially home care. That means making it easy for caregivers to do their jobs and interact with their company and clients. It also means making it easy for care recipients and families to schedule and pay for care, as well as securely communicate, and collaborate with their loved ones and entire care team. We apply disruptive technology to improve quality of life and reduce health care costs by creating an enhanced layer of visibility into the clinical health status of our clients and then applying pattern recognition technology to identify condition changes (both positive and negative) in real time. This gives our clients, caregivers and their care teams instant visibility and a modern risk management tool to prevent complications, catastrophic conditions, hospital admissions, and 30-day re-admissions. Combined with the ability to track and optimize outcomes, integrate wearables and third-party applications, and leverage intelligence from an anonymous HIPPA compliant community to improve decision making and reduce future risks you now have an industry that provides a combined value that is an order of magnitude better than the home care model of today. Our vision will be realized when the standards of excellence and meaningful results we bring to our clients become universally adopted and accessible to all people regardless of age, health condition or ability to pay. This transformation can only happen by creating a new industry that focuses on improving the quality of life for both care recipients and caregivers and ensuring the people, process, and technology seamlessly work together to increase the value delivered to society exponentially. The personal passion of many drives CareShield and we are inspired by timeless values of compassion, service, and love of humanity. Our vision is gaining traction, and we hope to serve your community soon.